Get £10 off orders over £50 at Amazon.co.uk today! 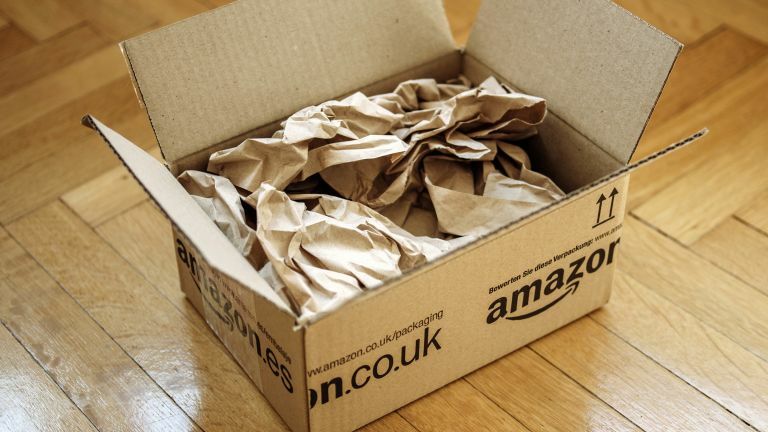 Amazon UK is today offering customers £10 off any order over £50. The deal is only running for one day so be quick if you want to take advantage. The discount applies to products dispatched from and sold by Amazon, excluding baby formula, digital products (Audible, digital documents, digital video downloads, digital music, digital e-book purchases, digital software, digital video games, mobile apps), pre-orders of physical video games products (games, consoles, accessories), gift cards (gift card, gift certificates, etc.) and delivery and handling charges. It cannot be redeemed on products sold by Amazon US or third party sellers on the Amazon Marketplace, or other Amazon sites such as Amazon.com, Amazon.de, Amazon.es, Amazon.fr or Amazon.it. Head to Amazon.co.uk and choose the stuff you want to buy. Click the “Proceed to Checkout” button when you're ready to complete your order. Enter the code BIGTHANKS in the “Gift Cards and Promotional Codes” box. Why is the code BIGTHANKS? Because Amazon wants to say thank you for voting it number one in the 2018 UK Customer Satisfaction Index, the retailer says. Find out more about the promotion on this Amazon page.